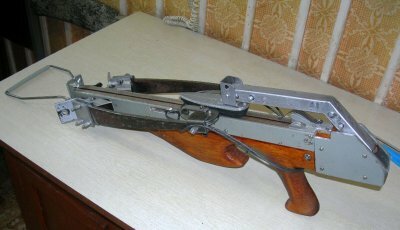 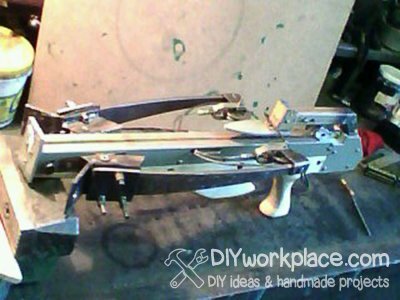 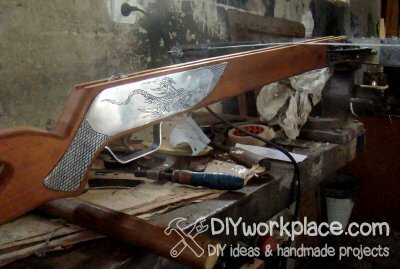 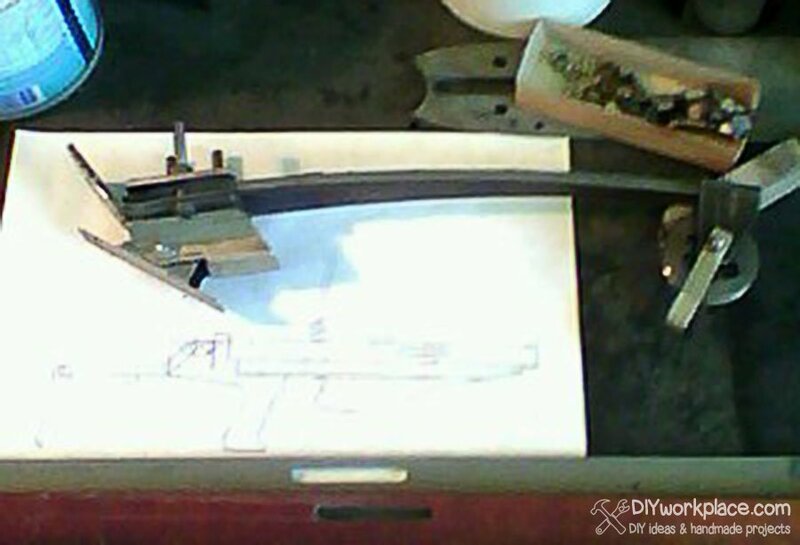 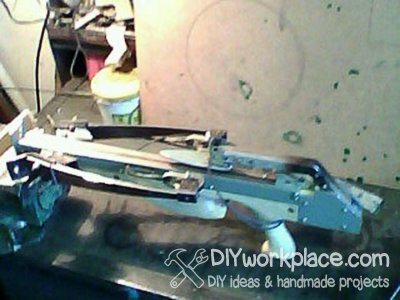 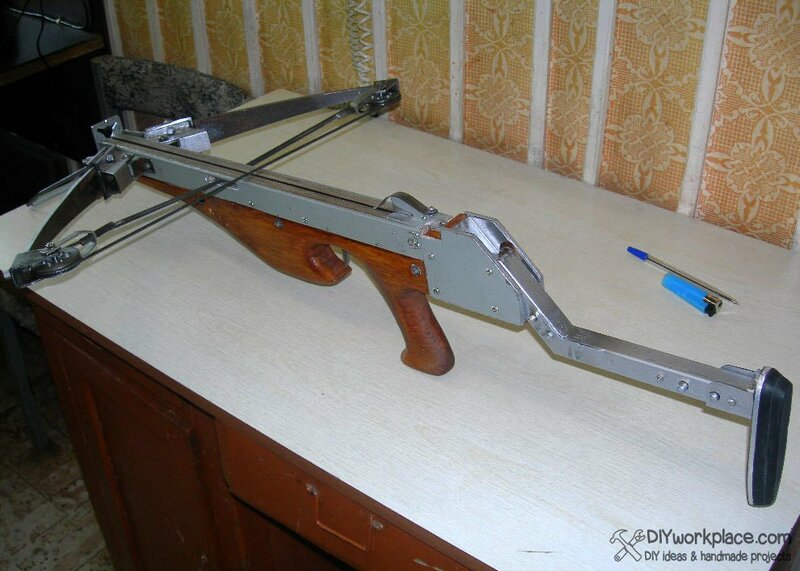 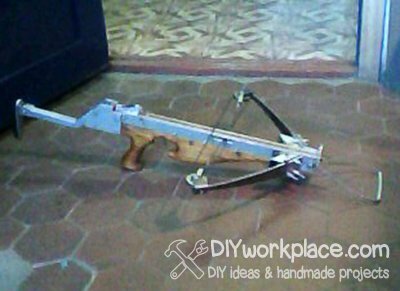 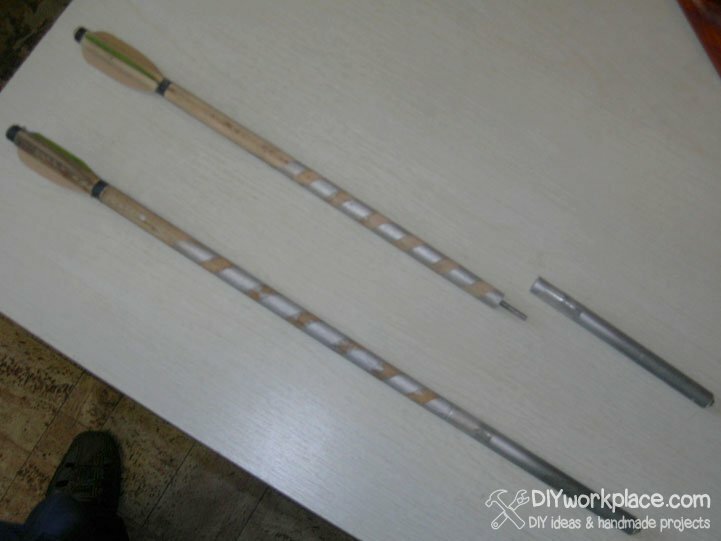 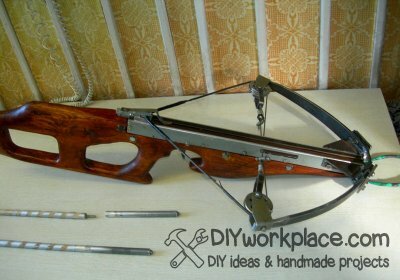 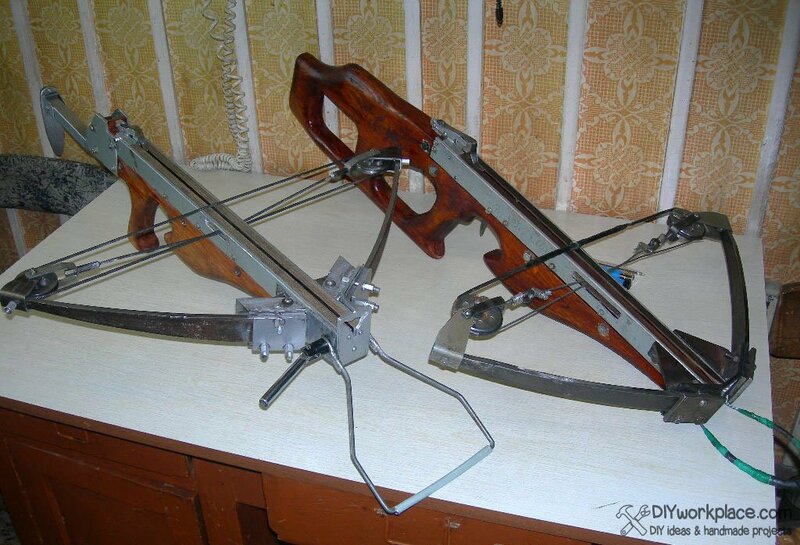 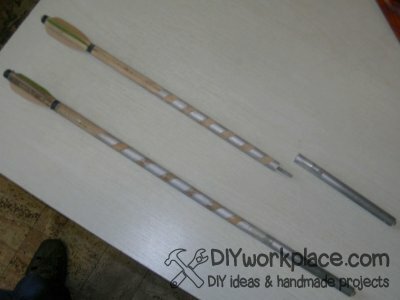 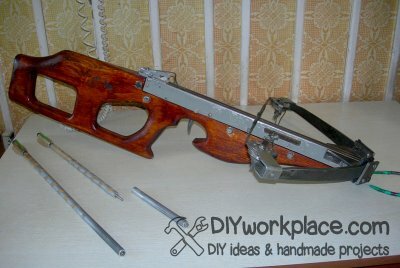 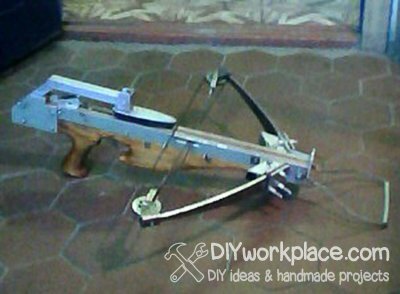 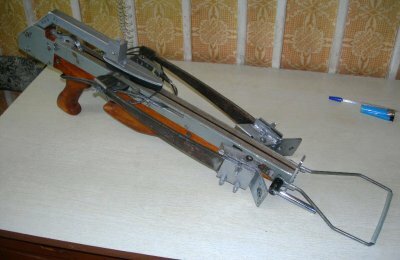 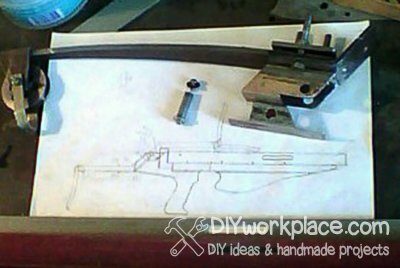 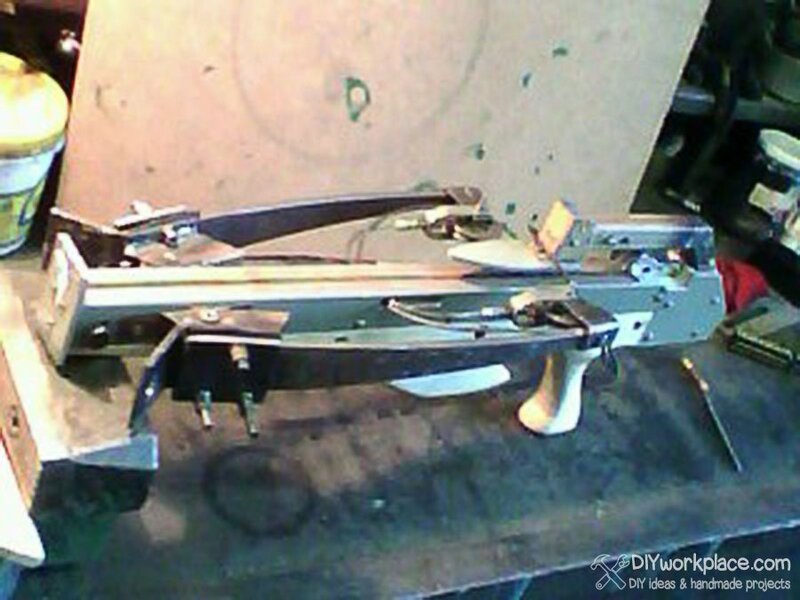 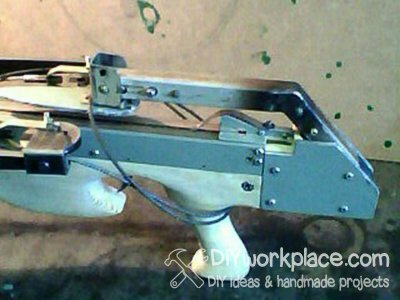 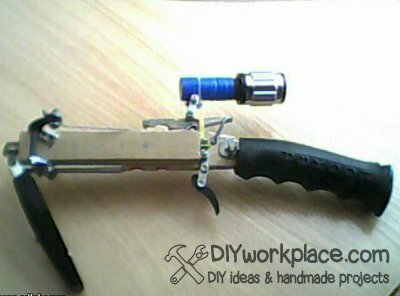 In this topic I want to tell you about how a made crossbow with foldable bow and buttstock. 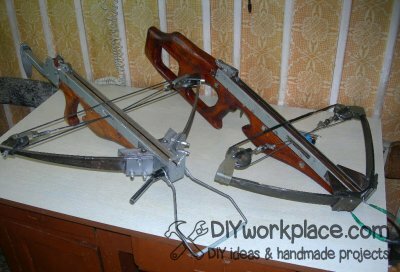 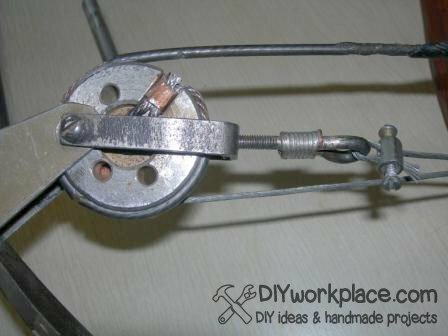 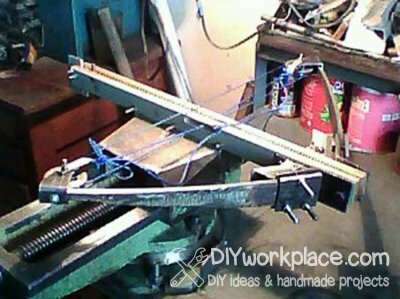 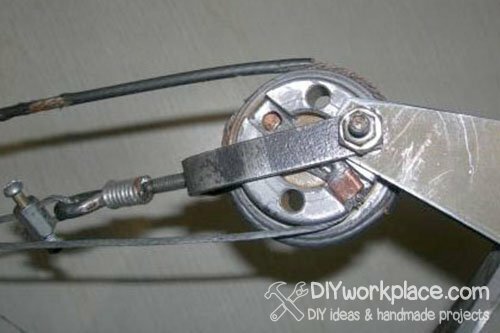 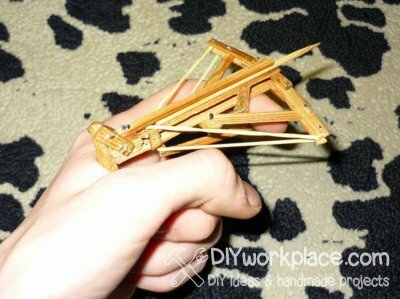 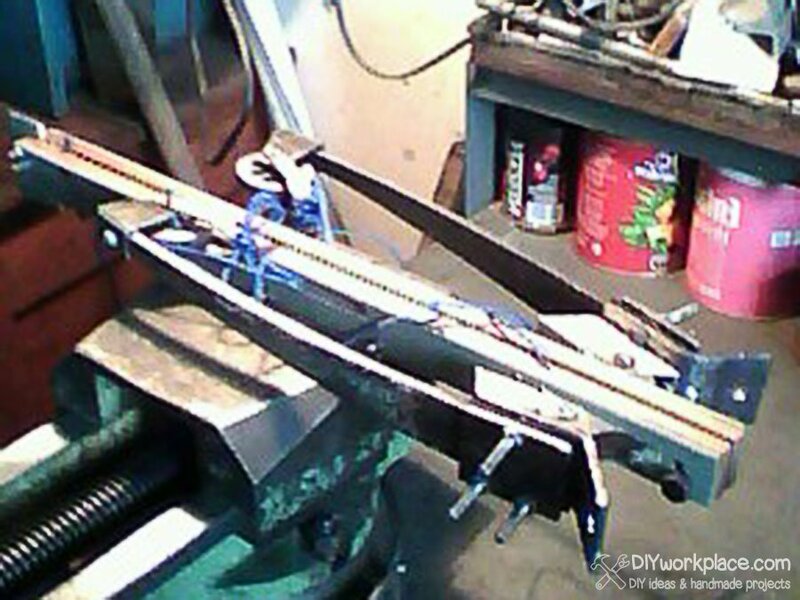 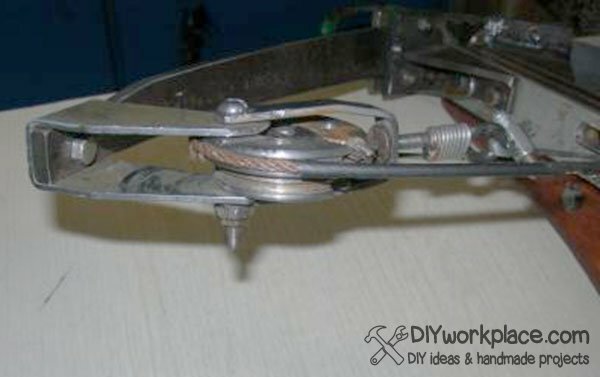 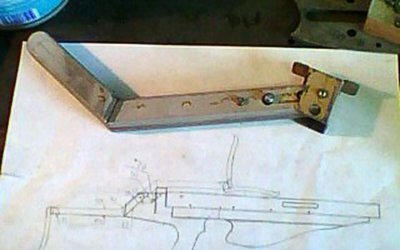 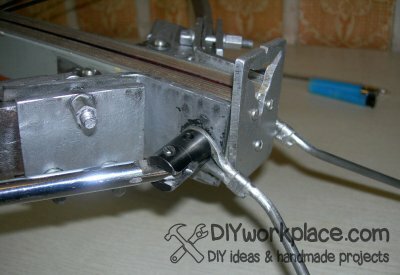 First I built an ordinary crossbow with pulley system. 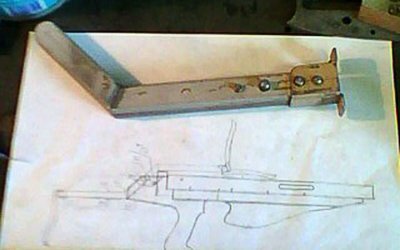 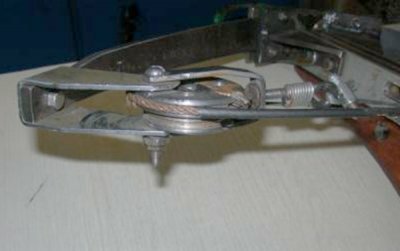 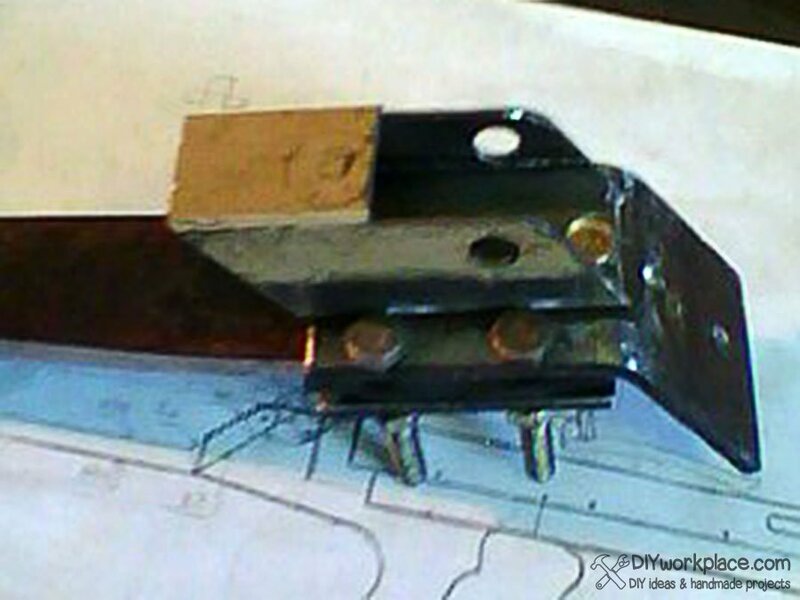 Bow made of car's spring, fastened with metal plate and steel corners. Bowstring is made of steel cord. 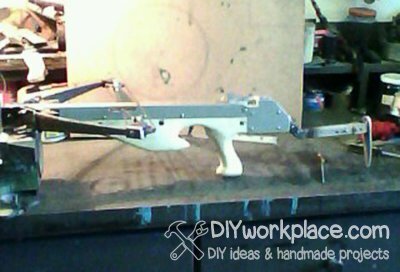 Body of a crossbow I made of fiberglass and aluminium. 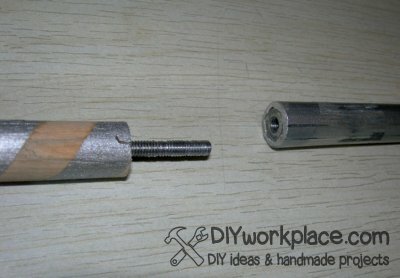 Bolts consisted two parts: shaft is made of stick of crib's back with stud inside it. 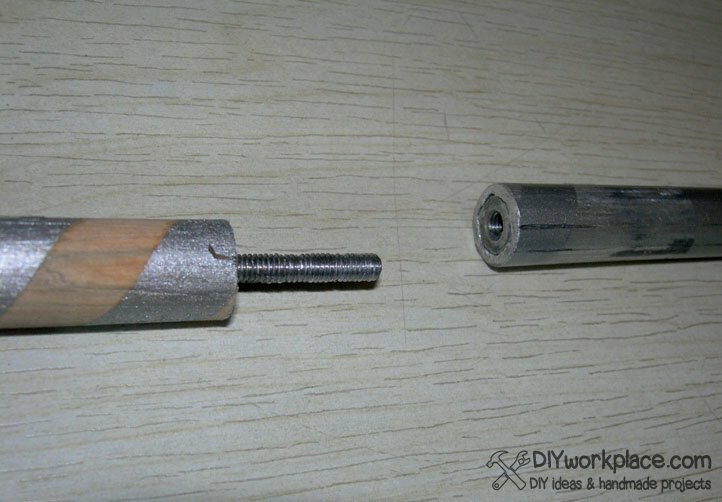 Second is made of antenna's tube with pressed nut. 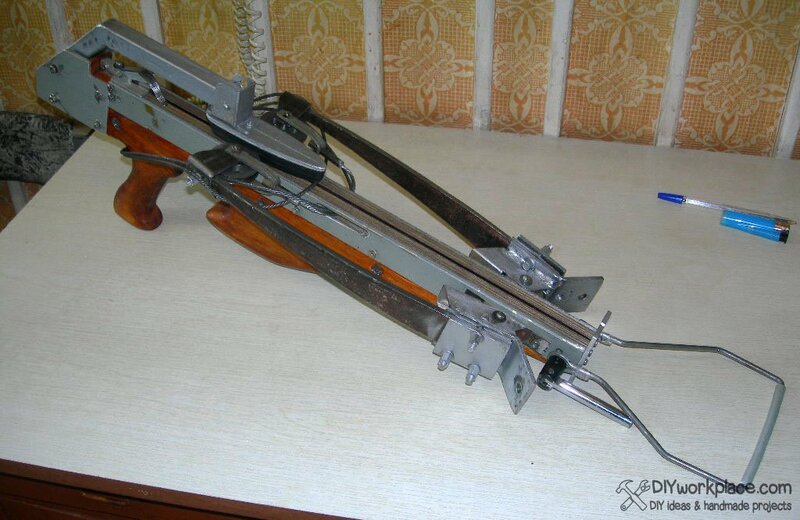 Tension is about 50 kg. Straight part of flight path is about 40 meters. 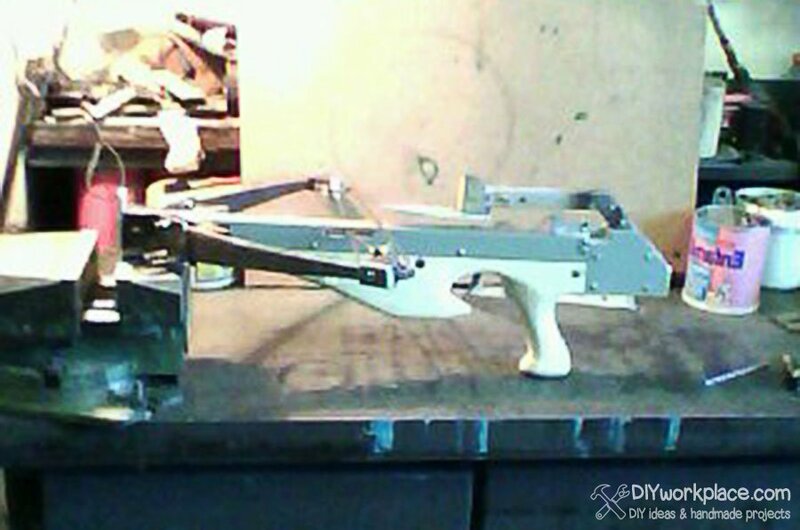 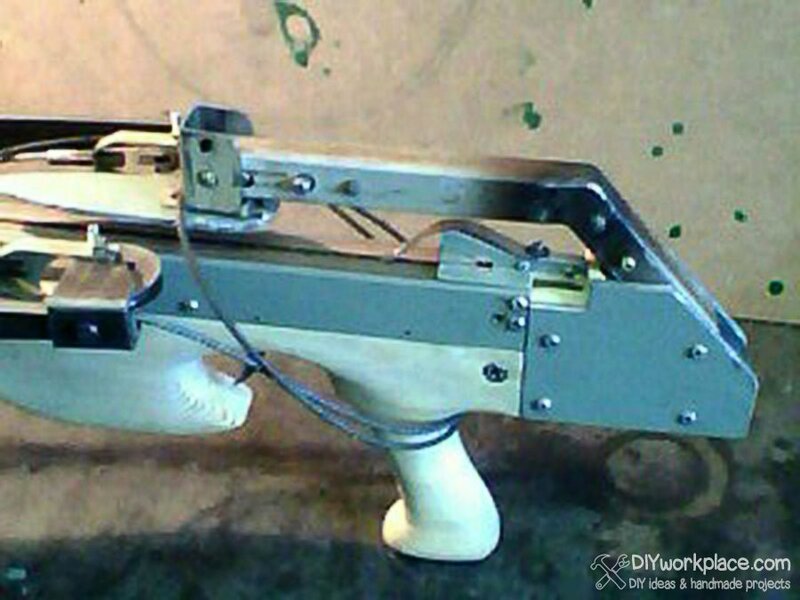 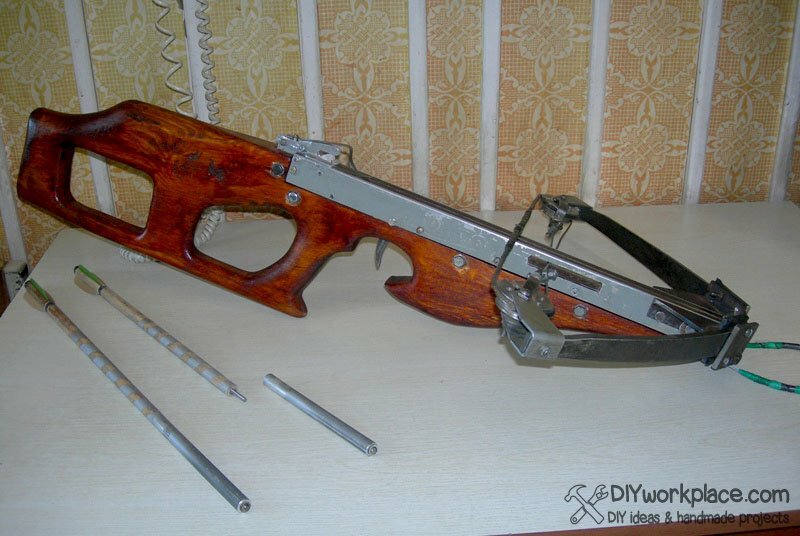 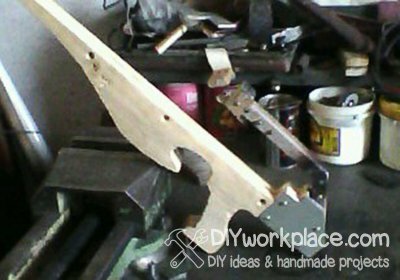 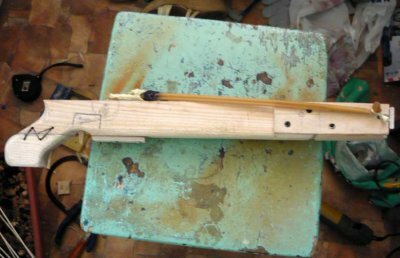 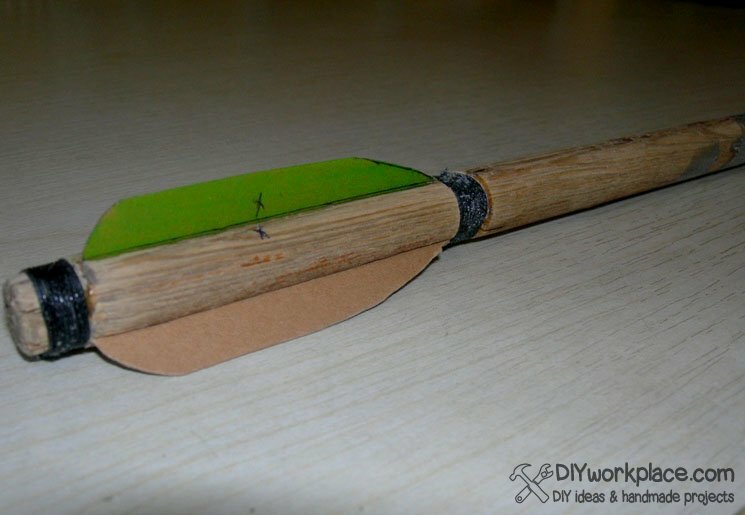 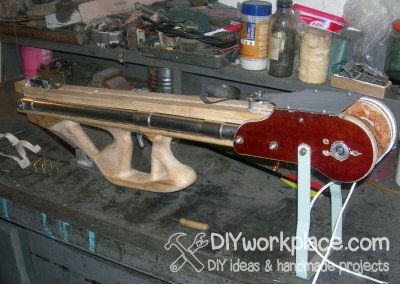 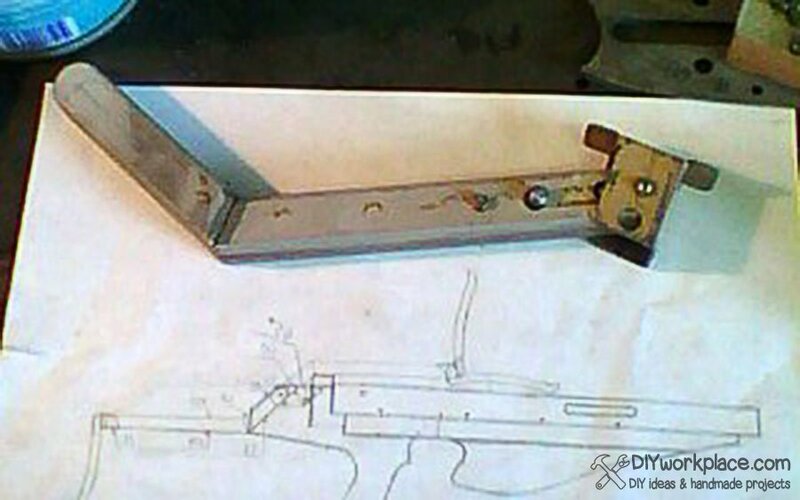 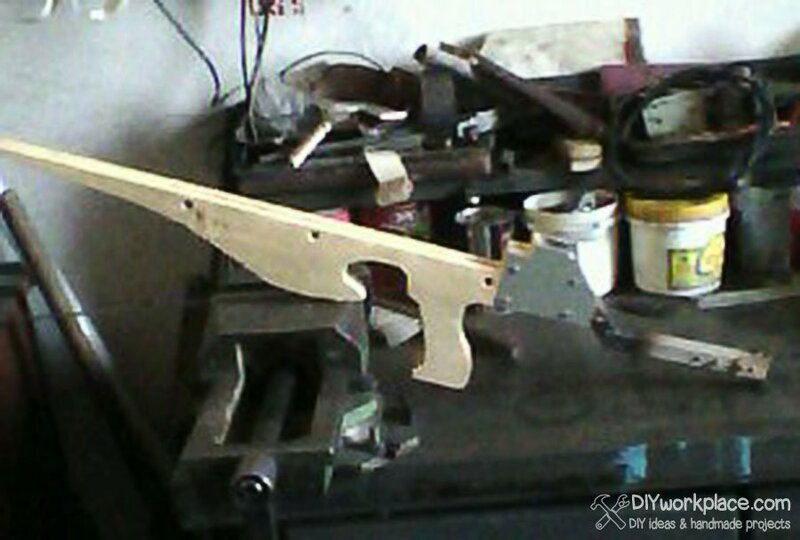 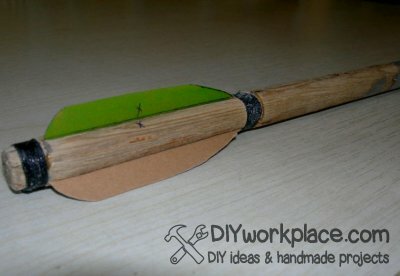 Body of a crossbow is a two connected plywood layers. 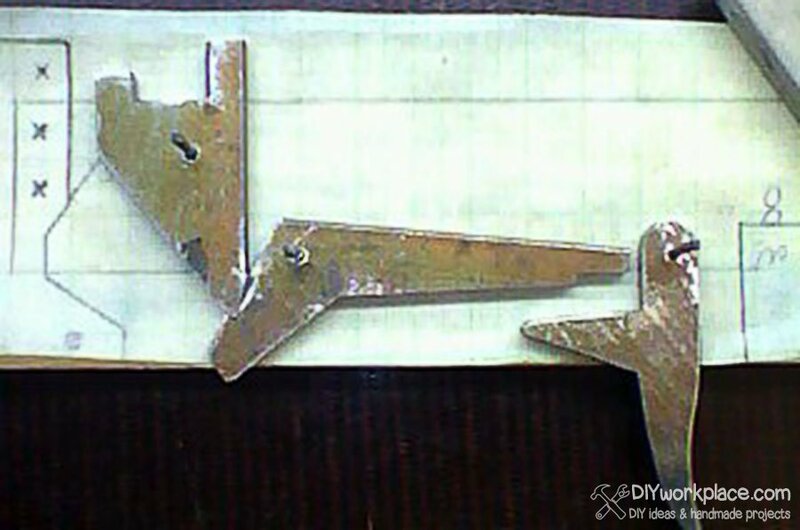 Gap between them serves as groove for bolt. 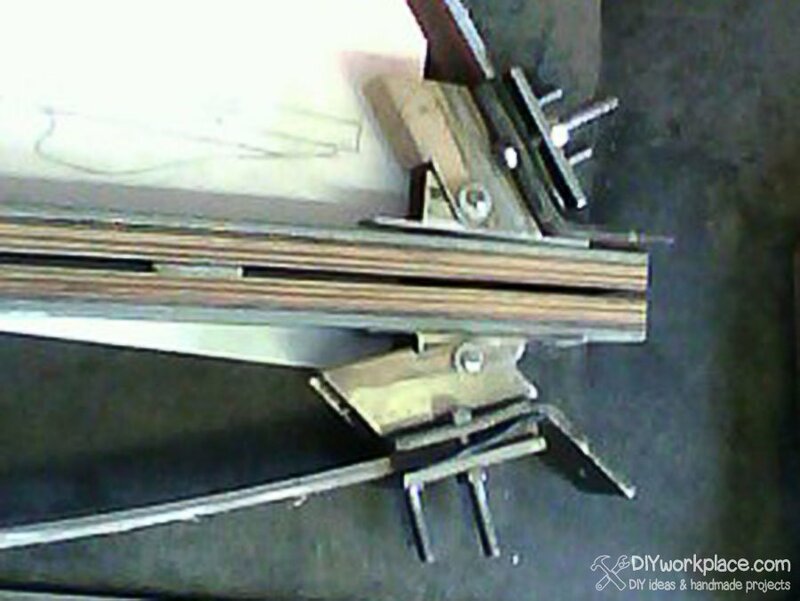 Each half of bow is attached with steel plates and fastened to body on hinges. 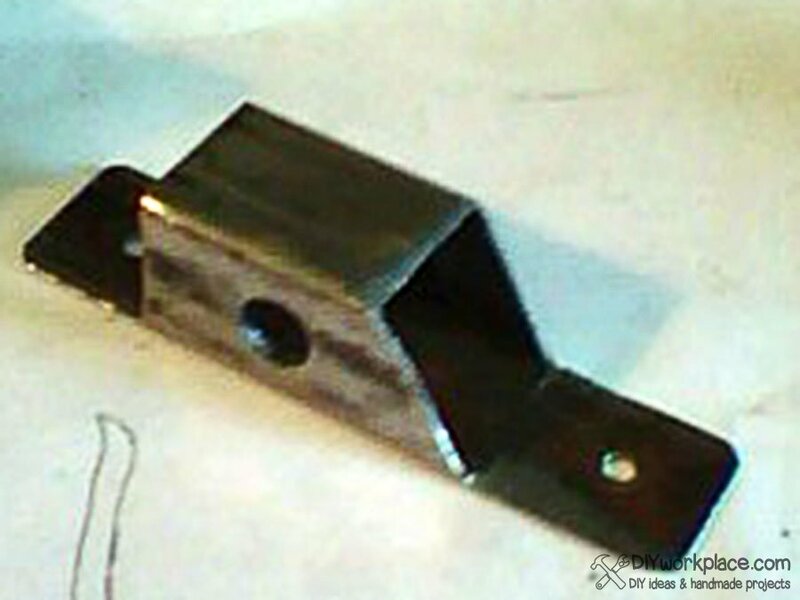 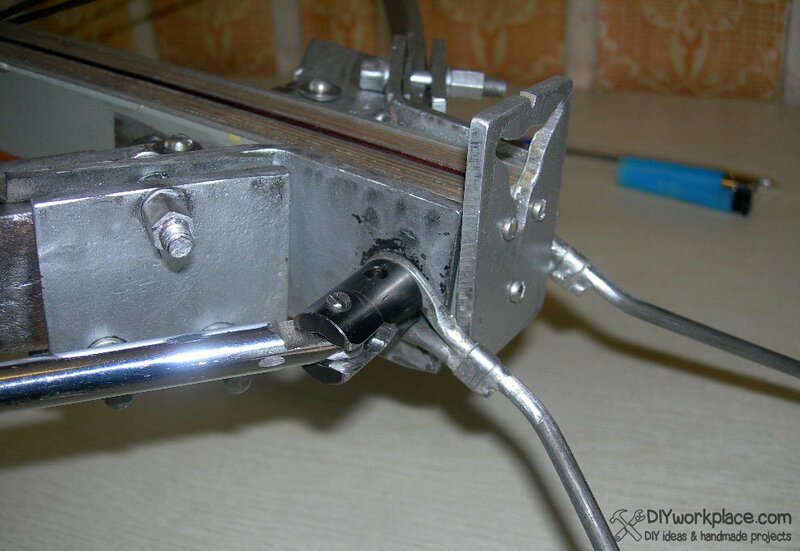 Hinge is a piece of steel rectangle profile, axis of rotation is a steel tube. 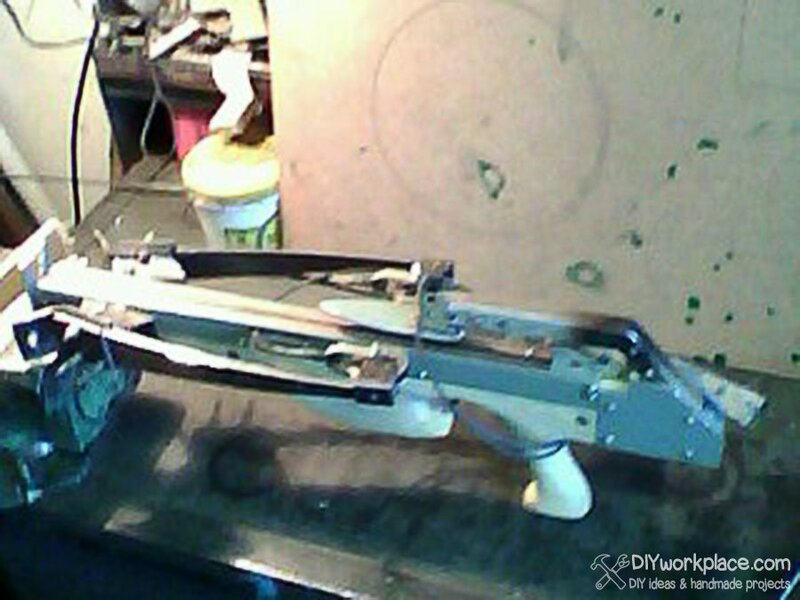 Crossbow's body with mount for buttstock. It is all made of steel plate and fastened with bolts and nuts. 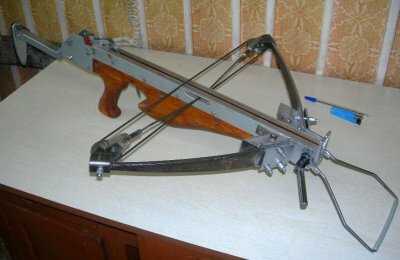 Would you please show me your diagrams and calculations for this crossbow ?